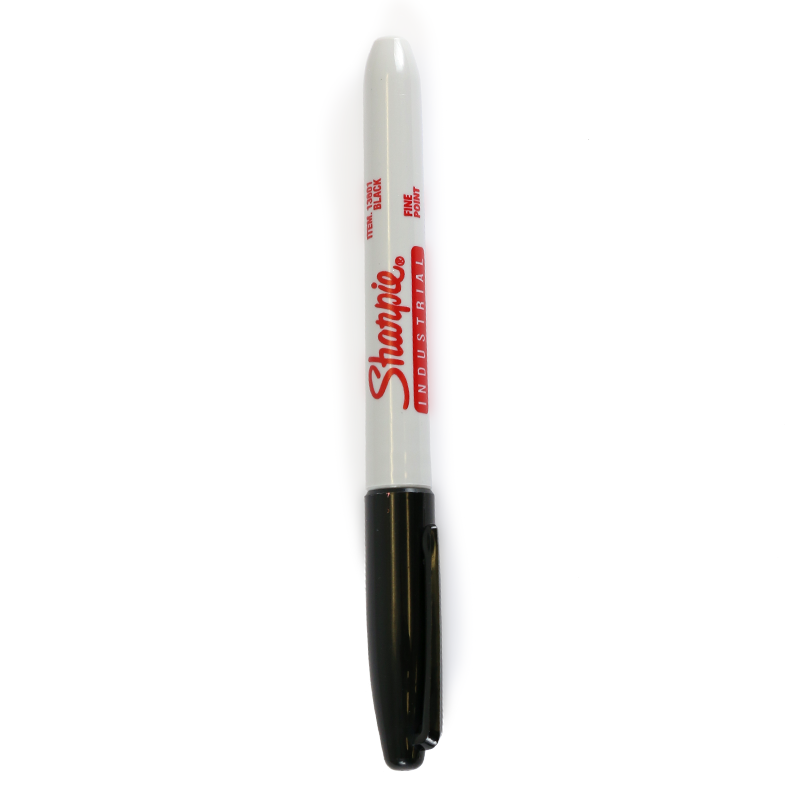 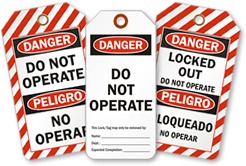 Warn unauthorized workers against operating machinery on which authorized personnel are working with our Two-sided. 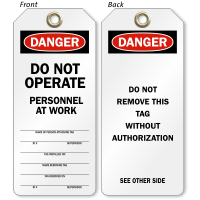 • Use a string or a wire to attach the tag. 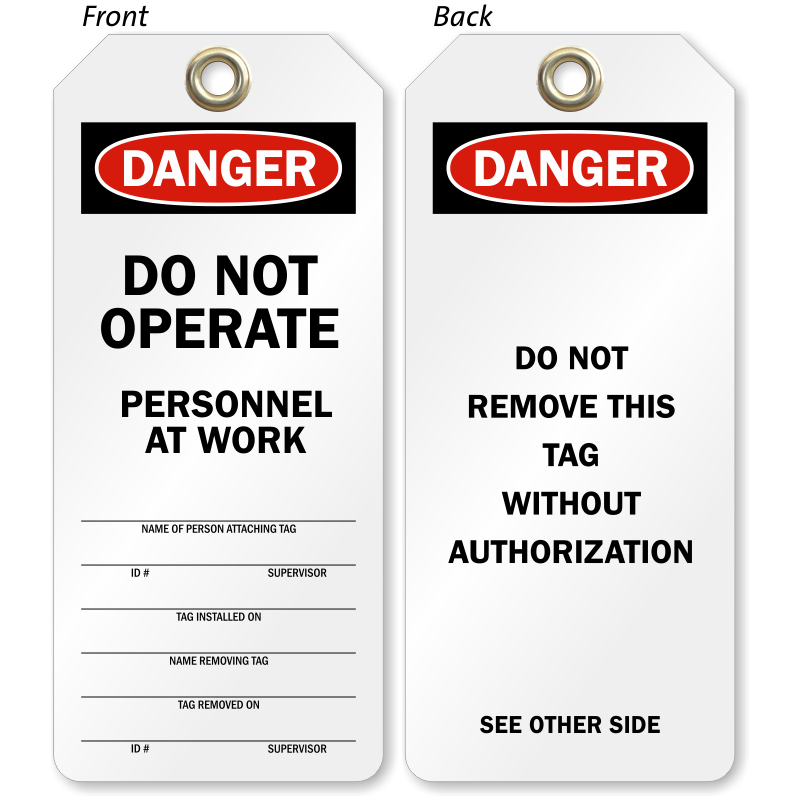 • Bold, effective tag complies to OSHA standards.